Was selected to be a team captain for the season…qualified for the 2016 US Olympic Trials in the 50 free following the Georgia Invite with a time of 23.10…won the C final of the 50 free at the ACC Championships with a career best of 19.99…also anchored the 200 free relay to an fourth place finish and competed on the 400 free relay…also turned in his best time in the 100 breast…swam his career best time in the 50 free at 20.18 placing 14th…also helped the 200 free relay to a second place finish at the meet. 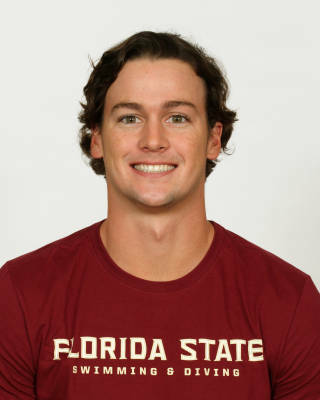 Competed in his first ACC Championships where he swam career best times in the 50 free (20.42) and the 100 breast (55.76)…also raced the 100 free posting a season best of 45.03…swam in the C final of the 100 breast and placed 22nd with a time of 58.64 at the GT Invite…also won the C final of the 100 free with a 45.78 at the meet. Placed ninth in both the 50 free (20.57) and 100 free (45.46) at the Bulldog Last Chance Invitational…placed second in the 100 free (46.12) and third (21.03) in the 50 free in the win over Florida Atlantic…swam a career best time at the Auburn Invite in the 50 free by winning the ‘C’ Final at 20.48…earned a second swim in the 100 fly at the Auburn Invite and placed 21st (50.07) and also placed 18th in the 100 breast (57.36). Placed ninth in the finals with a time of 20.73 at the Georgia Tech Invite… also swam in the 100 butterfly placing 11th with a time of 49.95…competed in the 100 breast and placed sixth overall with a time of 56.66… finished 11th in the 100 free with a time of 45.34…placed 15th in the 50 freestyle with a time of 20.77 at the Bulldog Invitational… finished fifth in the 100 freestyle during the prelims with a time of 45.37 and topped that performance with a fourth place finish with a time of 44.88 at the Bulldog invite… competed in the 100 breast and placed seventh in the prelims in 56.24 advancing to the finals where he finished sixth with a time of 56.17 at the Bulldog Invite…added solid depth to the 200 and 400 free relays all season. A two-time FHSAA state champion in the 50 free while representing the Paxon School for Advanced Studies where he is coached by Jason Calanog…took the silver in the 100 free at the state meet his senior year and swam the breaststroke leg on the third place 200 medley relay team…placed fourth in the 50 free and sixth in the 100 free as a sophomore at the state meet…earned a sixth place finish at the state meet in the 100 fly his junior year and took seventh in the 200 IM as a freshman…is a Junior National qualifier for Bolles. Born May 11, 1994…son of Steven and Nancy Apple…graduated from the Paxon School for Advanced Studies in 2012 where he was a member of the National Honors Society…earned scholastic All-American honors 2009-2011…was a Golden Eagles Ambassador…both parents graduated from FSU and his brother is currently a senior…swims for Bolles…majoring in Sport Management.